So far this has been a pretty busy Fall season for us. 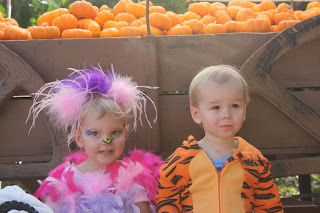 It's so fun this year because Aidan is old enough to enjoy dressing up in a costume and loves pumpkins, while Connor just goes with the flow- which is wonderful! 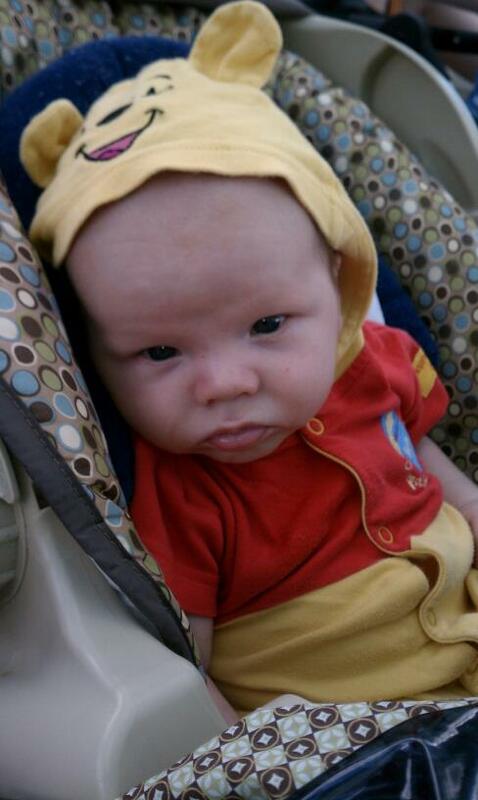 I was lucky enough to buy some super cute costumes about 6 months ago at a consignment sale. 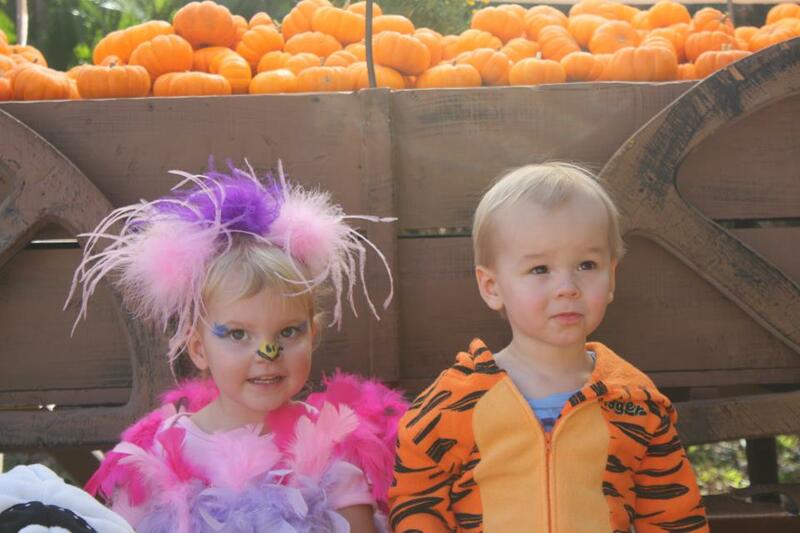 I crossed my fingers and hoped they would fit the kids when Halloween finally rolled around. 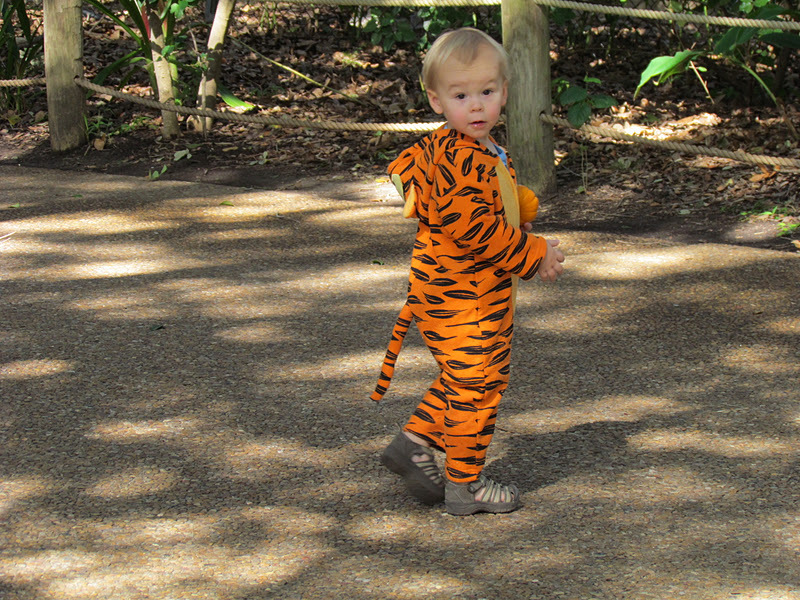 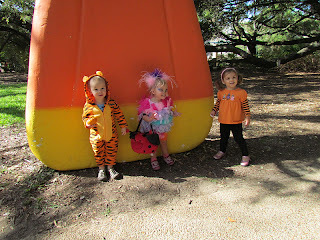 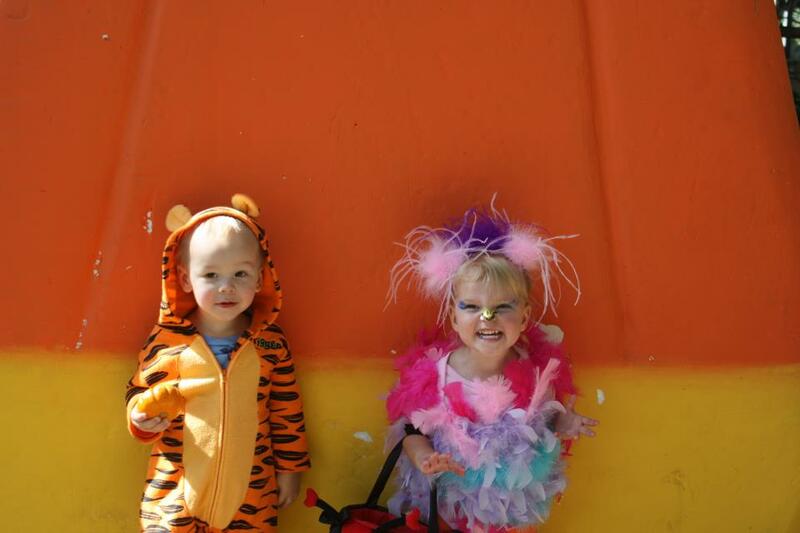 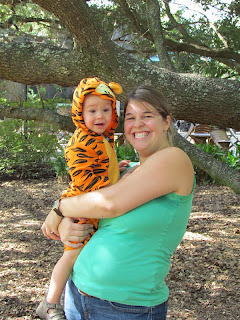 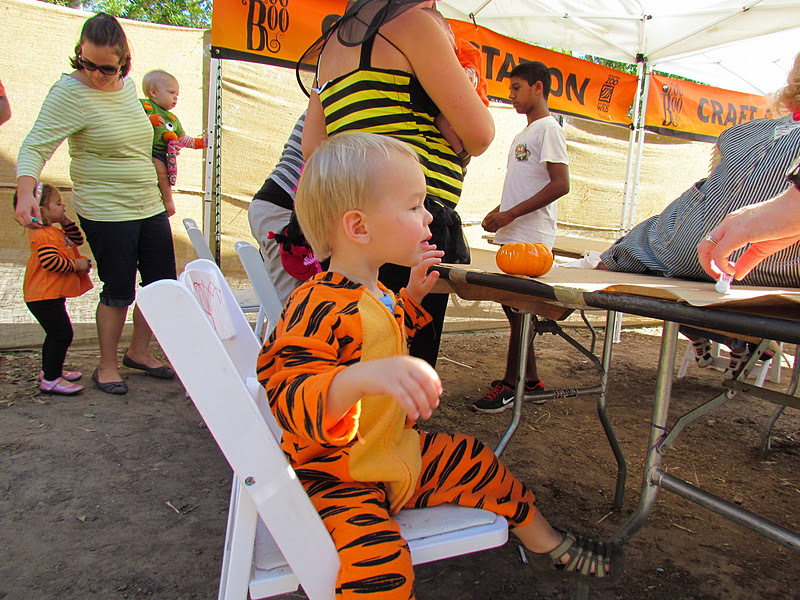 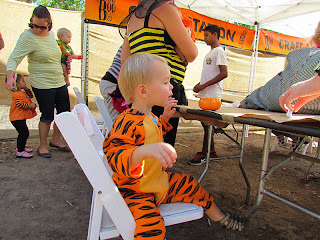 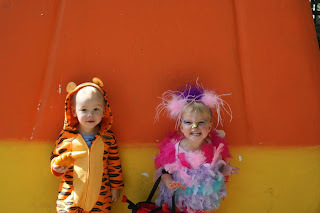 Last week the kids put on their costumes and we headed to the Houston Zoo for their annual Zoo Boo event. 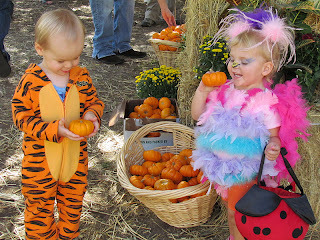 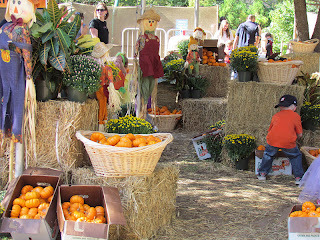 They have kid-friendly decorations, trick-or-treat stations, a pumpkin patch and lots of great places for cute photo ops. We decided to head on down for a day of fun with our Moms group. 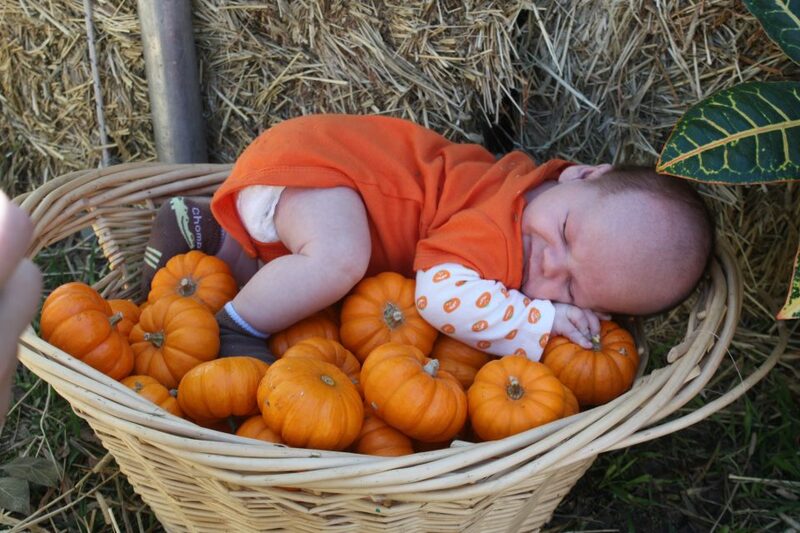 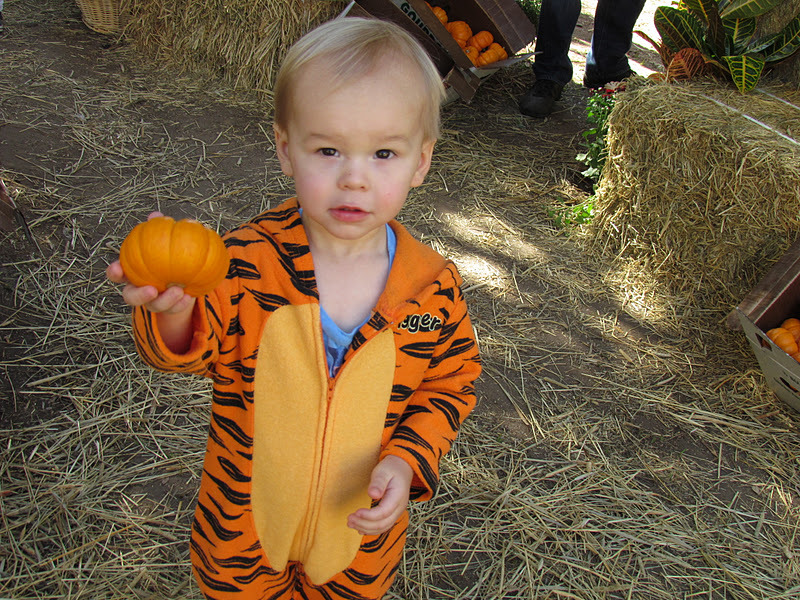 As soon as we entered the pumpkin patch, Aidan zeroed in on his pumpkin of choice. 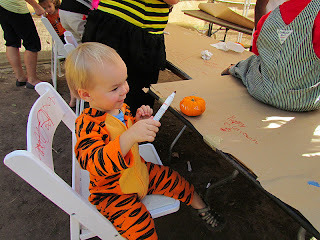 Then he sat down and decorated it himself. 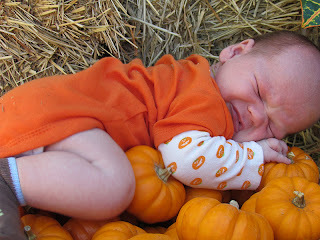 We posed Connor for a little pumpkin photo shoot, which he was NOT too happy about! 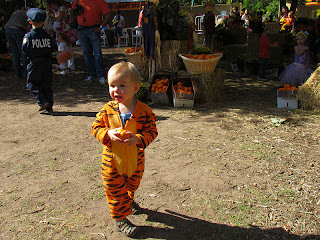 Aidan had a great time with all of his little friends. 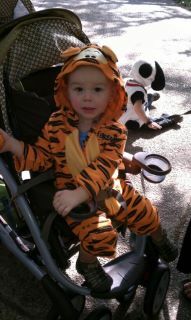 But, he had the most fun with his best friend, J. 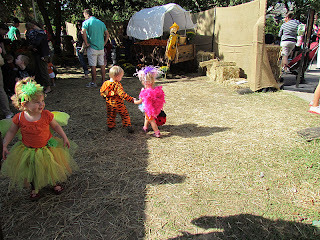 They were inseparable for the entire day. 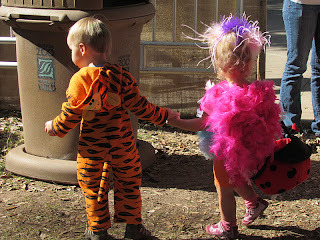 They walked around holding hands and actually wanted to pose for pictures together... which is unheard of for toddlers! It was a wonderful day! I'm so glad to be able to get out of the house now that Connor has his shots. 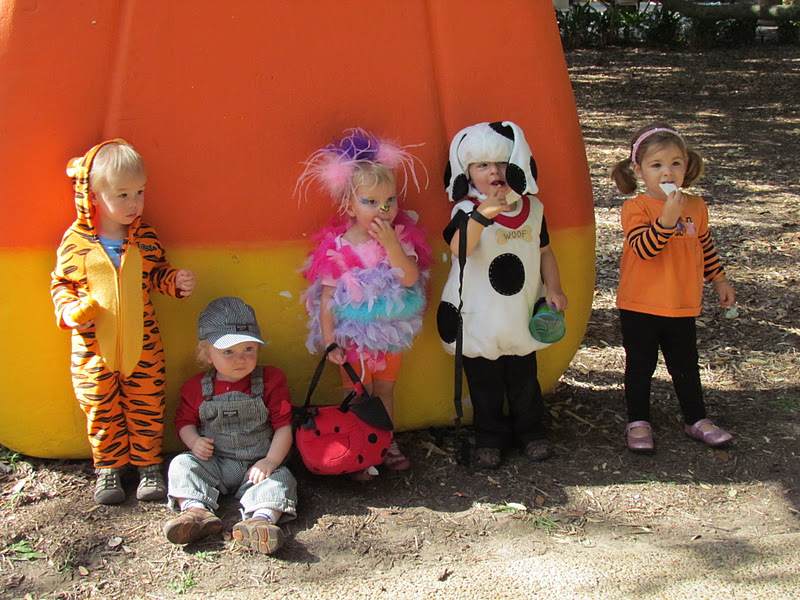 It's so fun to take my little guys on day trips into the city. We still have more Halloween fun ahead of us, too! 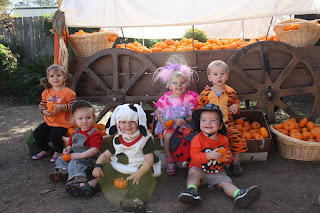 This weekend we are going to a Halloween party and on Monday we are spending the day at a local farm and I'll take Aidan out trick-or-treating as well. 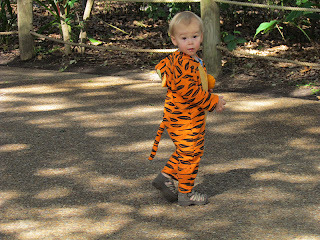 A trip to the zoo...Bra-loo!